Today's Question:Have you ever read a book and been completely surprised by it? Was it either better than you were expecting, moving in ways you didn't expect, more captivating than you thought, or totally different from what you thought it would be about? 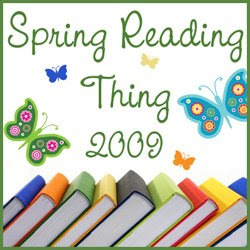 For me, the Sword of Lyric series (The Restorer) by Sharon Hinck was a surprise for me. I knew this book was going to be a sci-fi adventure, but didn't know how real Sharon would make the scriptures throughout the story. Sharon really brought home to me throughout the series the power of the spoken Word, that being the Word of the Bible. Combatting evil by speaking the words of the One can break the strongholds in a person's life. Sharon made it a stark reality in the character's of the book. It helped me to understand that I can use that as well against Satan. 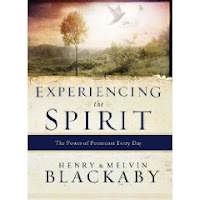 Dr. Henry Blackaby, president emeritus of Blackaby Ministries, is the author of more than a dozen books, including the bestselling classic, Experiencing God. He has spent his life in ministry, serving as a music director and as a senior pastor of churches in California and Canada. Today he provides consultative leadership on prayer for revival and spiritual awakening on a global level. He and his wife make their home in Atlanta, Georgia. 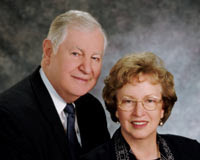 Dr. Melvin Blackaby serves as senior pastor at First Baptist Church Jonesboro, GA. He’s the author of several books including Going the Second Mile and the Gold Medallion-winner A God Centered Church, which he coauthored with his father, Henry Blackaby. He and his wife, Gina, live in the greater Atlanta area with their three children – Christa, Stephen, and Sarah. yes, the deep things of God. The person who does not know the Holy Spirit of God does not know God. It’s that simple. It’s true that God so loved the world that He gave His only begotten Son to provide eternal salvation and that, through His death and resurrection, we have victory over sin and new life in Christ. But apart from the Holy Spirit, God’s great salvation is of no relevance to us. Apart from the active work of the Spirit in our lives, we would neither know God nor have the ability to respond to Him. Divine truth is not something we “discover”; it is revealed by the Holy Spirit of God. As such, no other reality in the Christian life is as important as being filled with the Spirit. The doctrine of the Holy Spirit is distinctive to the Christian faith. No other religion has anything like it. What believers in Jesus Christ have come to know and experience through His gift of the Spirit brings them into a relationship with God that’s inaccessible in all other religions of the world. For just as God did not create the world and then step back and watch it spin, but chose to enter time and space and interact with His people, so also God did not just deliver a set of laws for us to follow in the hope of earning our way to heaven. Instead He chose to enter a relationship with His people on earth through His indwelling Spirit. 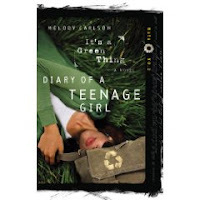 When I (Mel) was sixteen years old, I had a summer job as a laborer on a construction crew. My boss was a small contractor who built homes, but he also renovated older homes. One day he sent me to an old house to install pink Fiberglass insulation in the attic. The outdoor temperature that day reached 95 degrees Fahrenheit, so you can imagine how hot it was in that dusty old attic. I felt like I was working in a convection oven. It was a nasty job. As I shone my flashlight around the attic, I saw a cloud of Fiberglass particles floating through the air. All day long I worked in that dark and dusty deathtrap. It was one of those labor jobs that encouraged me to later go back to school and get an education. That night I was exhausted when my head hit the pillow. I guess the day’s work had had an impact on me, because I had a nightmare about being trapped in the attic. I got up in the middle of the night in a cold sweat—yet I wasn’t fully awake. I started to panic, thinking I was still in the attic and couldn’t find my way out. I scrambled frantically around the room looking for the attic’s crawl-out door and nearly destroyed my room in the process. I threw my dresser across the room and pulled down bookshelves. I was lost in the closet when suddenly a light shone through the crack under my door. I’d been in a nightmare I couldn’t escape—trapped in darkness and unable to perceive reality—until the light was turned on. Only when a little light shone under the door did my situation become clear to me. In the same way, unless the Holy Spirit turns the light on, your life will be kept in complete darkness, disoriented to the things of God. There’s absolutely nothing you can do to find the light; you’re at the complete mercy of God to reveal it. All you can perceive is what you see and experience in the physical world, but there’s a spiritual reality to which you’re blind. • Sin makes you unrighteous and separates you from God. • Sin keeps you from understanding God. • Sin keeps you from seeking God. and setting you on the road to depravity. can’t stop your downward plunge into eternal destruction. there any hope? Many would answer no. Some have committed suicide. Many more have attempted suicide, and even more have contemplated it. One of the most influential opponents of Christianity was Friedrich Nietzsche, who called Christianity “the one great curse” and “the one immortal blemish of mankind.” He proclaimed “the death of God” as a cultural fact and claimed atheism as the last evolutionary phase in the search for truth. Nietzsche later was debilitated by mental illness; having no hope, he’d gone mad. If not for the grace of God, we all would be in the same condition— without hope. For we have all sinned, and sin prevents a relationship with God—and life apart from God leaves no hope. But if you find yourself experiencing a desire to seek God, we have great news for you: God is already at work in you. The fact that you’re searching for Him is an indication that God is pursuing you and drawing you into a relationship with Him that’s real and personal. Apart from His active work in your life, you would never have the desire to seek Him. For as we’ve seen, because of sin, “There is none who understands; there is none who seeks after God” (Romans 3:11). Theologians use the term prevenient grace to describe God’s work of drawing us to Himself. Before we in our fallen state can seek God, He must first create the desire within us for spiritual realities. There must be a work of enlightenment done within us before we’re aware of our need for salvation. That’s why we believe no one can go to church or open God’s Word “by accident.” God is drawing them, whether or not they realize it. If you find yourself wanting to consider spiritual truth, it’s not because of some funny feeling, but because God Himself draws you. King David showed us something about this when he cried out to God, “My soul clings to You; Your right hand upholds me” (Psalm 63:8, NASB). When we reach out to cling to Him, it’s God who is drawing us, and it’s God who holds us there. There’s no contradiction in this divine upholding and human following. For our part, there must be a response to God’s drawing power if we’re to experience a relationship with Him. It’s like a man trying to draw a woman’s affection; the relationship will not blossom unless the woman responds. And when you do respond to God’s leading, He will give you the ability to answer the call. As James told us, “Draw near to God and He will draw near to you” (4:8). All that we’ve been talking about is the active work of the Holy Spirit in your life. If God had not sent the Holy Spirit to open your eyes, you wouldn’t see Him. If the Holy Spirit hadn’t opened your ears, you wouldn’t hear Him. If the Holy Spirit hadn’t touched your heart, you wouldn’t have the slightest desire to know Him. We’ve all been taught that we have five senses—sight, smell, taste, hearing, and touch. By using them, we can apprehend most realities. But when it comes to apprehending God, we struggle. We don’t see Him, smell Him, taste Him, hear Him, or touch Him. But there is within us another sense by which we can know God as certainly as we know material things by our five familiar senses. Because we’re spiritual creatures created in the image of God (Genesis 1:26), we have spiritual faculties that allow us to truly know Him. We can apprehend Him; we can experience Him; we can love Him. In non-Christians, this faculty lies dormant. It’s asleep in their nature. For all practical purposes it is dead because of sin. But this faculty is quickened to life by the work of the Holy Spirit when we’re born again. loosed the pains of death, because it was not possible that he should be held by it. (Acts 2:22–24) Notice that God the Father was the one who orchestrated the events in the life of Jesus. In the same way, the Father brought forth the dramatic coming of the Spirit on the Day of Pentecost. It’s true that Jesus sent the Spirit, but only after He had “received from the Father the promise of the Holy Spirit” (Acts 2:33). So we see that the coming of the Holy Spirit was in the heart of God from the very beginning. Long before Jesus arrived in the flesh, God the Father was talking about this day. It was always planned as the next significant event after Jesus died and rose again—as the necessary event to bring the work of Christ to bear upon those who would believe. Why then do many Christians fail to experience the depths of what God has purposed for their lives? The reason is their insufficient personal dealing with God. When our faith is based primarily on the wisdom of men and not on the power of God, we’ve just nullified most of what God intended for our lives. When our faith is built only on a collection of doctrines, we miss out on the Person who wants to be our life. Like all personal relationships, this spiritual relationship is activated through faith. When faith is defective, the result is numbness toward spiritual things. Some have never given their whole heart to God yet wonder why they haven’t experienced Him. To live the Christian life in its fullness, you must have faith. “The just shall live by faith” (Romans 1:17), Paul said, and in Hebrews we read, “Without faith it is impossible to please [God]” (Hebrews 11:6). You must take God at His word! Every positive response to the Lord will open up new opportunities to know Him more and more. The more you pursue Him, the more He’ll reveal Himself to you. To get a picture of the Spirit, consider the image of a sailing ship. The sailors make sure everything’s ready to go. The decks are swabbed, the trim freshly painted, and the galley stocked with food for the voyage. The anchor’s up, the ropes are in, the sails are raised, and the captain’s at the helm. But the ship doesn’t move. Why? Because the sails need wind to propel the ship forward. You can prepare everything in your life to go forward with God, but without the wind of the Spirit, there’s no movement. On a sailing ship you’re at the mercy of nature and the necessary wind to move; in life, you’re at the mercy of God and the Spirit’s power. Without that power, we can’t follow God and experience life to its fullest. Interestingly, the Greek and Hebrew words for Spirit (pneuma and ruah) can both be translated as “wind” or “breath.” Unless the wind of the Spirit blows, you’ll drift aimlessly along on the currents of life. Even after you’ve done everything you know to connect with God, it’s all in vain without action on His part. With this in mind, can you understand why “blasphemy against the Spirit” is so serious? Look at the amazing and even terrifying statement about this from Jesus: Therefore I say to you, every sin and blasphemy will be forgiven men, but the blasphemy against the Spirit will not be forgiven men. Anyone who speaks a word against the Son of Man, it will be forgiven him; but whoever speaks against the Holy Spirit, it will not be forgiven him, either in this age or in the age to come. (Matthew 12:31–32) Why would Jesus make such a statement? Why is it more dangerous to speak against the Holy Spirit than to speak against the Son of Man, Jesus Himself? Simply this: the Holy Spirit is the only one who moves upon a person to bring conviction of sin and the desire to be in a right relationship with God. Speaking of the Holy Spirit, Jesus said, “When He has come, He will convict the world of sin, and of righteousness, and of judgment” (John 16:8). Without this work of the Spirit, you’re incapable of responding to God. So the Holy Spirit is not to be ignored or taken for granted. He’s not to be cast aside as insignificant in comparison to God the Father and God the Son. The Spirit of God is essential to your life and to your relationship with the entire Godhead. He’s the illuminator of all spiritual truth and the doorway into the divine. He takes that which is unknown to fallen humanity and makes it a clear and unmistakable reality in our lives. because He knows you’ll respond when He speaks. This has been an amazingly powerful book. If the Holy Spirit doesn't convict you in the Introduction, I would seriously consider what they are sharing. I have been moved in each chapter I have read. You can hear the Spirit speaking to you as your read this book. If you aren't walking in a deep, rich relationship with Jesus, Experiencing the Spirit will move you to be in one. From there, the Spirit will be allowed to fulfill His role in your life. There is nothing superficial or surfacey about this book. I would encourage readers to take it a chapter at a time, even less if needed. I believe there is a workbook available along with this book and I would encourage everyone to get it as well and go through both. I plan on getting the first 2 books in this series, although Experiencing the Spirit can stand completely on it's own. To enrich your life and your walk with the Lord, I would highly suggest this book. It can prove to be life changing!